HTC is quick regarding the rollout of Android updates and most HTC U11 and 10 flagships received the Android 8.0 Oreo update in the beginning of the year. In January, HTC U11 devices in the EMEA region, received the most awaited Oreo update. Later the US carriers also began the rollout to U11 and only Sprint and Verizon rolledout the Oreo update for HTC 10. The first Maintenance Release update for Android Oreo is Android 8.1. Google released the Android 8.1 update on December 5th and Nexus 5X and 6P users already received the Android 8.1 Oreo update. So the next big update for HTC 10 and U11 flagships is Android 8.1. Before the consumer release of Android 8.1, Google did extensive testing through two developer previews for Google Pixel, Pixel 2 and Nexus devices. So many bugs of Oreo have resolved fully and a handful of new features also included in this update. Most likely, HTC will start the initial rollout of Android 8.1 for HTC U11 in June or July 2018. Some users may have to wait till August, as the rollout takes place in phases. For HTC 10, the tech giant hasn’t announced any confirmation about the update. So if HTC 10 included in the Android 8.1 update list, then the flagship might start receiving the update in Q4 of 2018. As these rollout time frames are only approximate, they may change in coming days. 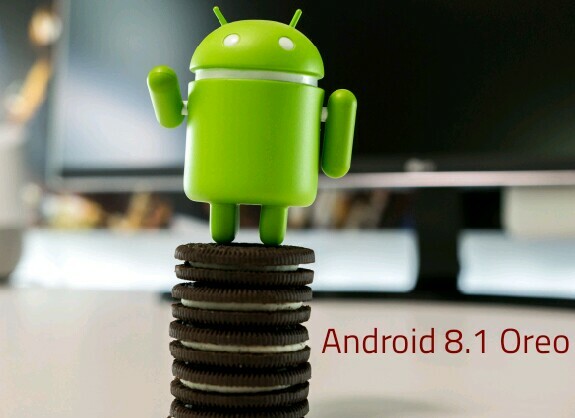 The official rollout dates of Android 8.1 will be revealed soon. The Taiwanese tech giant recently confirmed that HTC U11 and U11 Plus flagship will get updated to Android 9 Pie along with the latest flagship U12+. However, the company didn’t comment on the Android 8.1 update for HTC 10 devices. So now it seems that HTC has decided to skip the Android 8.1 update and directly rollout Android 9 for U11 and U11+ devices. The HTC 10 users can get the Android 8.1 Oreo update unofficially through custom roms from developers in XDA forum. Lineage OS 15.1 based on Android 8.1 build has been developed for HTC 10, so interested enthusiasts can develop from XDA developers website. In Android 8.1, the Search giant increased the API level to 27 and also included the neural network API. With the Neural network API, app developers can utilize machine learning efficiently to provide very good user experience. In Android 8.1, Google also includes Bluetooth Battery levels feature. So, the battery level of Bluetooth device will be displayed on the Quick Settings toggles. Another user-friendly feature of Android 8.1 is the reduction of storage space occupied by inactive apps. The latest android update automatically optimizes inactive apps, so that they will take lesser space and free space will be increased. Now we explore the the top features of Android 8.1 one by one. A reddit user named scoularis has noticed the smooth scrolling of Android 8.1 which is due to an extra frame buffer of render. The Android 8.1 DP users report that the responsiveness of the system has dropped a little bit after the update. This glitch might be solved in the final version of Android 8.1, according to the tech analysts. iOS has always been praised due to its very smooth scrolling and now it seems that Google bring the smooth scrolling to Android with the update. Previously, Google has implemented Project Butter in Android 4.1 Jellybean to improve the responsiveness and smooth scrolling. Now with Android 8.1, the smoothness of scrolling has very much improved. 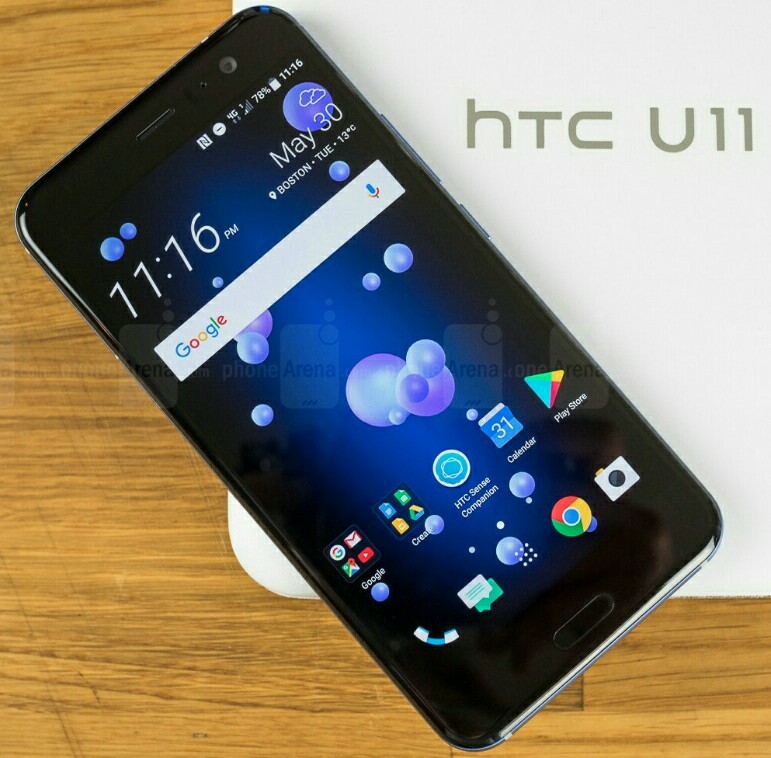 Due to the feature of the latest android update, user experience of HTC U11 and 10 devices will be improved hugely. In the Android 8.1 update, Google implemented the most awaited feature, Bluetooth Battery levels in Quick Settings. Previously, only iOS contains this feature, now comes to Android too. So the user can check the battery level of the connected device by simply swiping down on the home screen. Besides the Bluetooth icon in Quick Settings, a battery bar indicating the level appears. To check the level in percentage, the user tap on the Bluetooth icon to open the connected devices menu, in that the level of each device will be displayed in percentages. More improvements to the Bluetooth section may come with the Android Pie update for HTC U11 and U11 Plus devices. In Android 8.1 update, the Search giant made some magnificent changes to refine the visual design of Android. In the Settings menu, full-fledged Search bar replaces the previous search button of Oreo. Another visual change is the light navigation bar for the Settings app. In the navigation bar, buttons will fade if they are not used for two seconds. This feature seems to prevent the screen burn of navigation buttons in OLED displays. The Search Giant brought revamped Ambient Display feature with very minimal appearance with the Android 8.0 Oreo update. Later, in Android 8.1, Ambient Display arrived with few interesting modifications. Under the Time and above the notification icons, an alarm icon shows up with the upcoming alarm time. Besides that, the date is displayed in short form. So HTC U11 and 10 users can check the scheduled alarm time very easily. In the upcoming Android P update, more improvements may come. Google Pixel devices got the automatic switching of dark and light modes feature with Android 8.1. When the user sets a light wallpaper, then light mode theme will be displayed and while using a dark wallpaper the UI changes to Dark mode which causes less strain to eyes and also saves battery. The Pixel 2 devices arrived with this feature out of the box and Nexus 5X, 6P and Pixel devices got the feature with the update. It is still unclear whether HTC includes this feature in its update or not. We hope that the Android 8.1 update for HTC U11 and 10 will feature Dark and Light mode auto switch. In the Android 8.1 Oreo update, the Search giant further optimized the battery drain after introducing the app background limits in Android 8.0 to limit the battery drain. The Battery section in the Settings Menu shows the list of unusual battery draining apps and their mechanism. So the user can take necessary steps to prevent the battery drain if wanted. Google may refine the battery juice consumption further in the upcoming Android P update. One of the remarkable features of Android Oreo is Neural Network API which provides a base layer for machine learning frameworks. The API also supports accelerated computation and inference for neural networks like TensorFlowLite and Caffe2. Using the NNAPI, TensorFlow Lite run modules MobileNets, Inception v3 and Smart Reply efficiently. On-device inferencing reduces latency and there will be no requirement of data connection. So using the API, video processing apps can process much faster without any sending request, receiving response over network. As no data leaves out of the user’s device, there is no risk of privacy breach. The API is still in development and has some cons like increment in battery drain due to use of CPU for on-device processing. But overall the NNAPI is a feature that will totally revamps the user experience in coming future. In the upcoming Android P update, the Search giant may refine the Neural Network API to support more neural networks. In Android 8.1 Oreo, the Search giant some significant refinements to increase storage space. After updating to Android 8.1, the system automatically reduces the size of the inactive apps to free some space. The dalvik cache of inactive app will be cleared automatically, so the inactive app size reduces. So the feature is very much useful to those HTC U11 users which don’t have any microSD cards. The Android 8.1 update includes redesigned Power Menu with Night and Day modes. So the Power Menu appears in Night mode with dark background and Light font during night time and while in day time, it appears in Day mode with Light Background and dark font. The newly designed Power Menu reduces Eye strain and also slightly power usage. The user interface of the Menu also appears gorgeous. Previously, Google added the Restart button to the Power Menu and now many UI improvements happened with Android 8.1. In the upcoming Android 9.0 P update, the Search giant may refine it further. Open Wi-Fi Networks are very helpful to stream Videos, music seamlessly and reduce stress on Mobile Networks and Battery. But only a good strength Wi-Fi with good speed is useful to users, indeed. Now Android 8.1 brought a feature called Wi-Fi Speed labels to label the Open Wi-Fi network speeds. In the Wi-Fi section of Settings, the Open Wi-Fi networks now appear with labels such as Slow, OK, Fast to facilitate user to connect to the best network. Only on the Fast and Very Fast labelled networks, users are able to stream 4K videos and any media seamlessly. The OK labelled networks are enough for Spotify streaming and some media streaming. The more refinements to the Wi-Fi section might come in the Android 9.0 P update. The Autofill feature made its debut with Android 8.0 Oreo in August 2017. Since then, Google worked on some improvements to Autofill and rolledout them through the Android 8.1 update. With the Autofill feature, users are able to fill online forms and logins automatically without typing manually. This saves time and also convenient as typing on smartphone is typically prone to errors. In Android 8.1, Google made changes the user interface changes regarding the autofill of Credit card data. The feature displays the credit card bank logo, the last four digits of the card to easily recognize the card to enter in forms. Along with this, some minor interface changes are also present. However, the Autofill in Oreo is not working in Chrome, Google may add the support for Chrome in Android P. Famous third party password managers like 1Password and Lastpass are supporting Autofill now. We will update this post soon with latest news about Android 8.1 update for HTC 10 and U11. Google released the Android 8.1 Oreo update on December 5th, and started the rollout for Nexus 5X, 6P and Pixel series devices on the next day. Major Carriers like AT&T also started the Android 8.1 rollout for Pixel 2 and Pixel 2 XL devices. In the final release of the update, the Search giant included two big security patches and fixes for 48 additional bugs. Many bugs in the previous previews have been resolved in the consumer version. The Pixel and Pixel 2 flagships also getting the AR stickers feature along with the update. With AR stickers, supported apps like snapchat can send messages with fun, animated objects. We are not sure at this moment whether the feature come to HTC 10 and U11 devices. HTC hasn’t made any comment on Android 8.1 for HTC 10 and U11 devices. More details about the update will be revealed in coming days.